The president has repeatedly expressed his desire to sit down with Special Counsel Robert Mueller and clear his name once and for all. Almost everyone else thinks this is a bad idea, for obvious reasons. If the president listens to his lawyers, he may exercise his constitutional right and clam up. Hey, remember Bill Clinton? 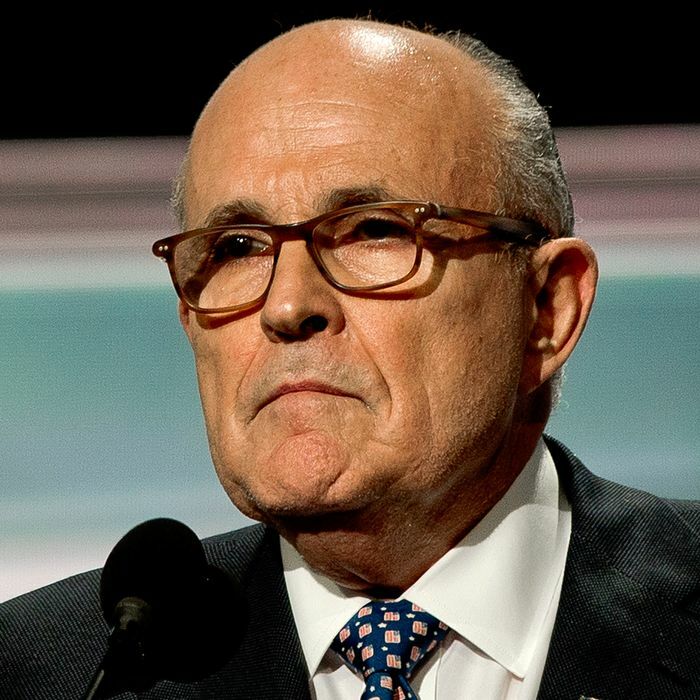 He “negotiated a deal,” Giuliani said, “in which he didn’t admit the effectiveness of the subpoena.” When Stephanopoulos pointed out that Clinton did testify before a grand jury, and asked if Trump would be willing to take that step, Giuliani dodged the question by raising the Hillary Clinton investigation. Hey, remember Bill Clinton? He wasn’t such a truth-teller, was he? Also, Trump never lied. Rudy Giuliani on @ThisWeekABC: "What is said to the press, that's political." George Stephanopoulos: "It's okay to lie to the press?" Pennies, really. Stormy Daniels may as well have paid Cohen. Pres. Trump’s attorney Rudy Giuliani calls $130,000 payment to Stormy Daniels “a nuisance payment." Sure, it’s possible, but who can say? Certainly not, you know, the president’s lawyer. Did Michael Cohen make payments to other women on behalf of the president? Let’s check back on this one in a few weeks. This makes him the perfect TV representative for the Trump administration.